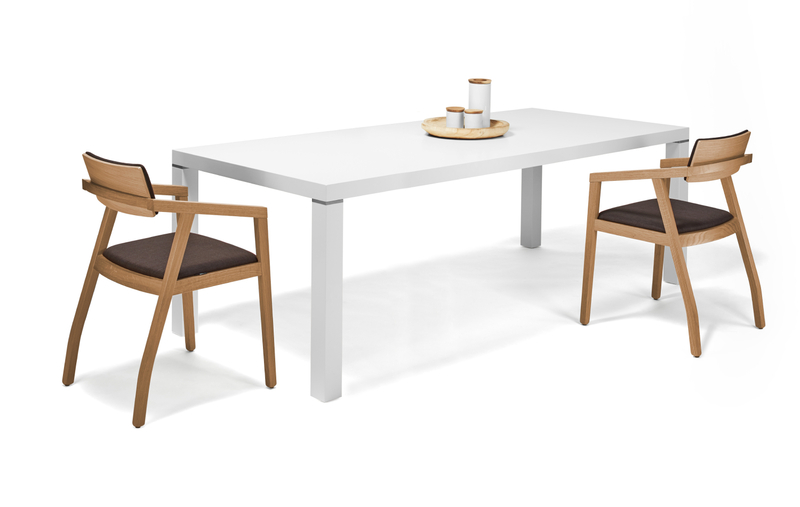 One of the most popular dining tables of the HANÁK brand. The elegant look is completed with a slight metal detail. 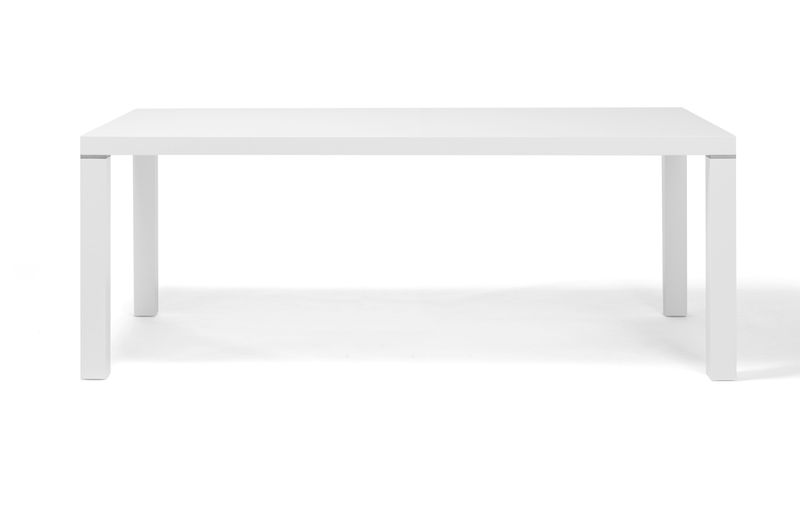 This table will match every modern dining room or kitchen. 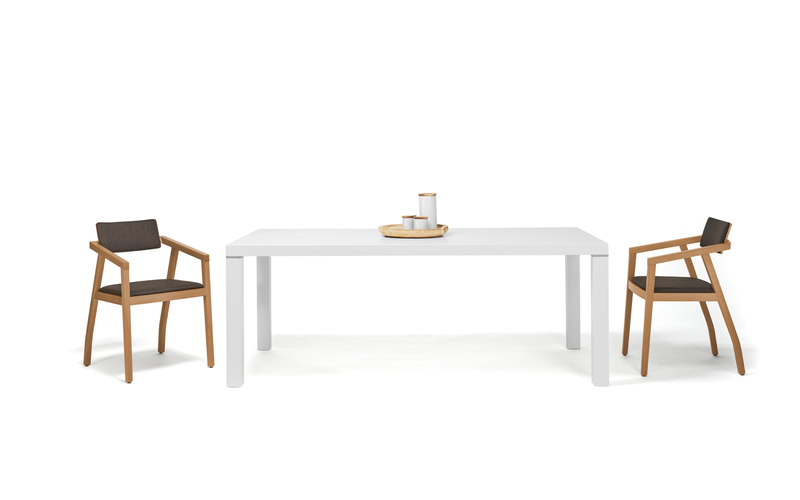 The simple and symmetric lines of the model are only completed with chrome fittings that connect the table supports with the desk of the table.